Map of all the basketball locations in Fortnite: Battle Royale. With the introduction of Season 5 in Fortnite, players have been trying to shoot some hoops using the new emote. Now, Epic Games has made hitting shots on five of the ten basketball courts in the game a new challenge for its players. 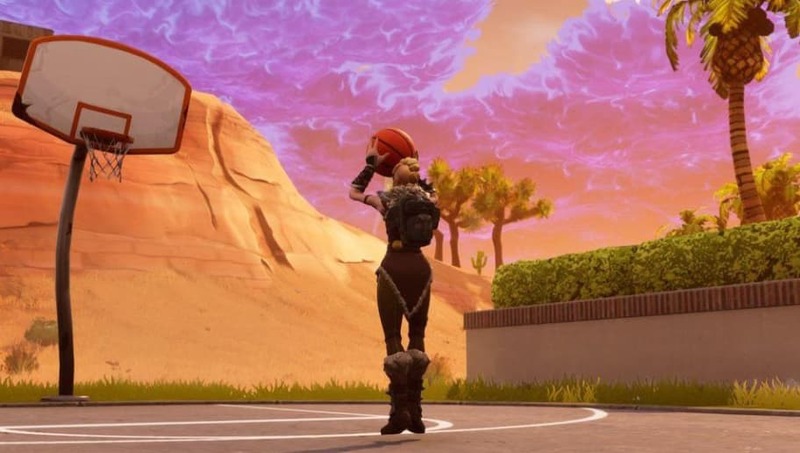 As part of the new season, Epic wants to encourage players to take advantage of its multiple new Fortnite basketball hoop locations. However, the challenge says each shot must be a three-pointer, so it is a bit harder to complete the challenge. The new basketball mode has been a big hit with many Fortnite players with many opting to go play a game of makeshift NBA2K instead of the battle royale version. Epic had promised to overhaul its battle pass challenges this season with the help of their new golf and basketballemotes and this appears to be the first step. Photo courtesy of Epic Games and Gaming Editorial.